Consistency. We've been receiving their shipments for years and we've never had a wine we didn't like. You can't really ask for more than that from a wine club. A Gold Series Club membership costs $39.00 for 2 bottles of wine. Shipping costs extra and is $10.50 per shipment plus sales tax where applicable. The price per bottle, with shipping, ranges from $19.88 to $41.75 depending on how you configure your membership. We received this shipment of the Gold Series Wine Club in October, 2018. We've been reviewing Gold Medal wine club for more than five years. Without a moment's hesitation we can say that they have the most consistently excellent two bottle wine club out there. They have an extraordinary expectation of wowing their customers—and their customers' lucky gift recipients. We've been reviewing Gold Medal Wine Club for almost 10 years. Without a moment's hesitation we can say that they have a consistently-excellent two bottle wine club. With a tight focus on small California wine producers, you always get hard-to-find wine of premium quality. Regular club shipments are up to 40% below winery retail. The “standard” subscription is two bottles, one each of red and white wine. Upgrade to four bottles per shipment and save 10% on the wine and around 40% on the shipping cost. You can choose red wine only or white wine only. In two-bottle shipments you’ll get two bottles of the same wine. In four-bottle shipments you’ll get four bottles of the same wine. Choose monthly, every other month, or quarterly deliveries. Optional “bonus bottle” in each shipment for an additional $19-22 per shipment. These are very hard-to-find wines with limited inventory. And of course, like any proper wine club, there are no sign-up fees and you can cancel any time. Gold Medal is proud of its wine selection. The Gold Series is their “entry level” subscription, sometimes people think of these wines as “everyday wines” or “weeknight wines.” We think they’re quite good any time. What’s super important to know is that the wine you receive in the Gold Series is always produced by a small California winery and could be labeled Artisan or Craft. Whether the owner/winemaker grows his or her own grapes and estate bottles them, or purchases them from high-quality vineyards to make at a crush pad facility, you’ll never find mass-produced “factory wines” in your shipments. An interesting assortment of grape varieties and and wine regions shows up in the Gold Series wine shipments. These shipments highlight what's happening with small wineries in California these days. The price of wine in any wine club is certainly important. Gold Medal claims they sell their wine up to 40% below winery retail. What we've seen over the years is that their biggest discounts go into their Gold Series club and that they average around 20-25% below winery retail. Those are good discounts to be sure. Gold Medal also offers "buy more, save more" pricing. If you upgrade to a 4-bottle club you'll save 10% and if you subscribe for 12 months, you'll save another 5%. They also have a membership rewards program which reduces the cost of your wine club reorders (you know, those bottles you love so much you have to have more). The regular gift shipment. When our readers send 1 or 2 shipments of the Gold Series as a gift, they can upgrade to include this package. When it comes right down to it, we recommend the Gold Series Wine Club as one of the two best wine club gifts to give. Amazingly, our opinion of their wine club as a gift and it’s appearance as #1 or #2 on every gift list on our website hasn’t changed in years. Why #1 or #2? The other wine club gift we recommend has very similar wine and pricing. From an ongoing membership perspective we consider them equal. Sometimes the other wine club is offering a more valuable deal and we put them in #1. The rest of the time, we prefer this offer from Gold Medal Wine Club because it’s always available to our readers and not available from any other website. If you give a Gold Series gift of 3-months or more, you get all of their gift options for free AND you give a bonus bottle of wine in the first shipment. This free gift package has a $27.99 value. When our readers give a 3-month gift or longer of the Gold Series, this is the first shipment. The gift box is designed by an artist and makes for a beautiful presentation of wine country when they open the box. The custom-printed gift card matches the design on the box. The two bottles of Gold Series wine are wrapped in organza wine gift bags, as is the bonus bottle of 2012 Steele Canyon Cabernet Sauvignon from Napa Valley (Carneros). The bonus wine, part of a 900 case production, is 90% Cabernet Sauvignon and 10% Syrah, was aged 24 months in oak, and gets 4 out of 5 stars on Vivino. Of course all of the ongoing benefits of membership apply to gift subscriptions, too. Discount Opportunities. 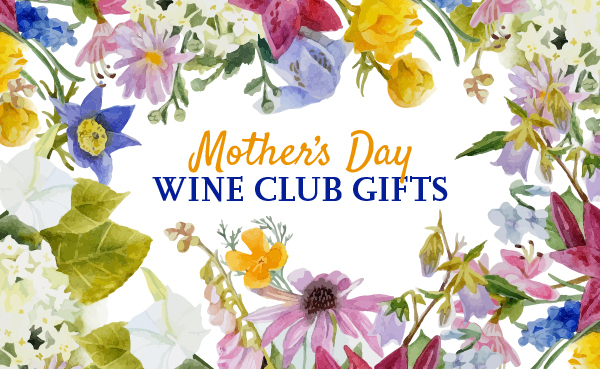 Gold Medal does not regularly offer an introductory offer, though during peak holidays like Valentine's Day, Mother's Day, Father's Day, and Christmas you'll find free gifts with purchase like gourmet truffles (chocolate) and wine accessories. Gold Medal does offer discounts on reorders, while supplies last—buy 2-5 bottles more and pay the regular price, buy 6-11 bottles and save up to 10%, buy 12-23 bottles and save up to 12%, buy 24 or more bottles and save up to 15%. Four-bottle members save more on reorders. Customer Service Record. In six years of working with Gold Medal we have never had a single customer complaint. That's amazing to us. Our usual Internet sleuthing failed to turn up any customer complaints. Kudos to them! Satisfaction Guarantee. In our eyes, this is the weakest aspect of the Gold Medal wine club program and it's why they don't have a 5-star rating from us. They say "Satisfaction Guaranteed" on their website, but what they really mean is that they believe you'll love what they ship, not that they'll replace anything you don't like as most other clubs of this caliber promise. That said, we'd be genuinely surprised and concerned if you received a stinker from Gold Medal. Convenience. Gold Medal is a more old-fashioned company. If you need to hold your service for a vacation or want to cancel your membership you'll need to call and speak to someone during regular business hours. You can handle reorders yourself online, as well as see a record of the wines you've received and when you received them. Wine Education. Like other older wine of the month clubs, Gold Medal sends out a glossy multi-page brochure (called The Wine Press) with each shipment of The Gold Series. The Gold Series from Gold Medal comes with its own magazine called "Gold Series Wine Press." This issue is loaded with wonderful photos and stories about each winery and the winemaker, and also includes food pairing recipes chosen by each winemaker. Who Should Join the Gold Series club? Gold Series sounds good but you prefer International wines? Try their International Series wine club instead.